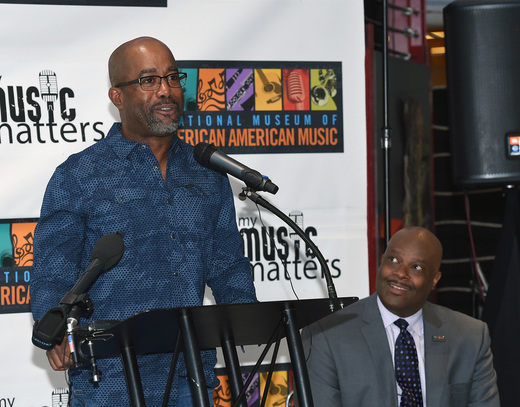 Darius Rucker – along with CeCe Winans, India Arie and Keb Moe – were selected as national chairs of the new National Museum of African American Music. Slated to open in 2018, the museum will be located in the heart of Lower Broadway in Nashville. The NMAAM will stand as an international iconic cultural museum dedicated to the vast contributions African Americans have made in music. Numerous exhibits and displays will showcase the role that African Americans have played in creating this pivotal piece of American culture. For more information, visit nmaam.org.